Bangalore or Bengaluru is the capital of Karnataka in India. Bangalore is often referred to as “Silicon Valley of India,” and is home to many well-known IT, tech and startup companies. “Garden City,” is another way to describe the city that is home to many gardens and lakes. Meet Anarghya Vardhana, a millennial investor, marathoner, math whiz and dancer. We spoke to Vardhana on how she developed her interests in science, technology & sports and how did they turn shape her professional career. For instance, we were curious to find if participating in sports activities helped develop her confidence level. How did sports help hone her skill as a team player? Vardhana credits her parents for helping develop her interests in science, technology and sports. When we asked her whom she turns for advice her prompt reply was “My father.” She counts her father as her best friend. Vardhana graduated from Stanford in 2005 and immediately joined Google. After 4 years at Google she left to work at a startup for a brief period. She then worked for a non-profit organization and Rothenberg Ventures of San Francisco that is often referred as a millennial VC firm. At Rothenberg she focussed on Virtual Reality (VR) and women in VR. She recently joined Maveron, a VC firm focussed on consumer-only business. This interview is part of our Women in Science and Tech series sponsored by Zoho Corp. The interview was broadcast on TV in San Francisco Bay area. Bangalore is often referred as Silicon Valley of India. The city is studded with startups and has a huge pool of technical people. How and why did Bangalore became the startup hub of India? Why do startups from other parts of India move to Bangalore? What are the common characterstics between Silicon Valley and Bangalore? To find the answers to these questions we spoke with Prof. Rishikesha Krishnan of the Indian Institute of Management (IIM) Bangalore. He is currently on leave from IIM Bangalore and is the director of IIM, Indore. Dr. Krishnan has written a book on India’s innovation culture called From Juggad To Systematic Innovation: The Challenge for India. 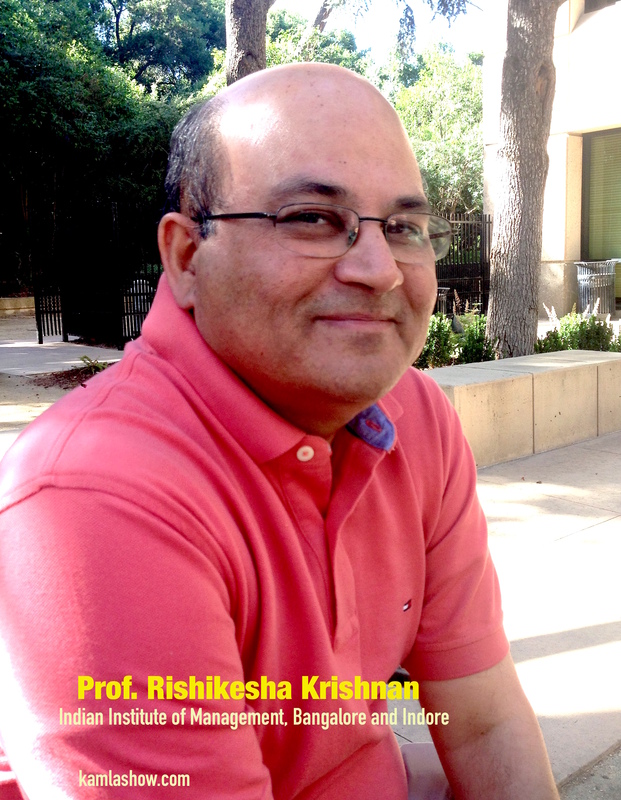 You can listen to an extended audio interveiw with Prof. Krishnan on innovation and Indian economy.